With a leisurely farm tour during the coffee break? Maybe with a squirrel or two for company? "What if you could completely re-imagine your next company event? If want to make it an event that people will actually look forward to, you're at the right place!" 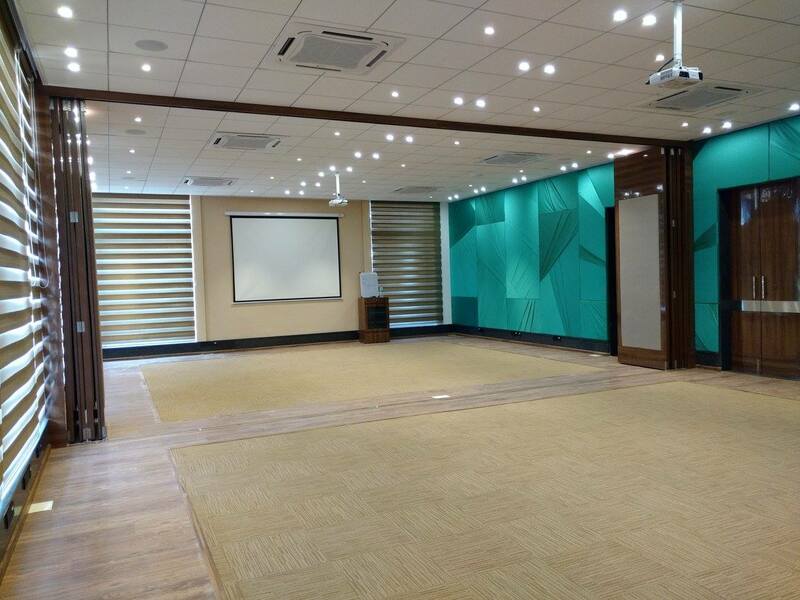 Introducing The Mango Lounge – a business/conference venue that’s different from anything you’ve ever seen. You’ve heard of destination weddings, now here’s a chance for you to have a ‘destination conference’ – that too just 45 minutes from the city! 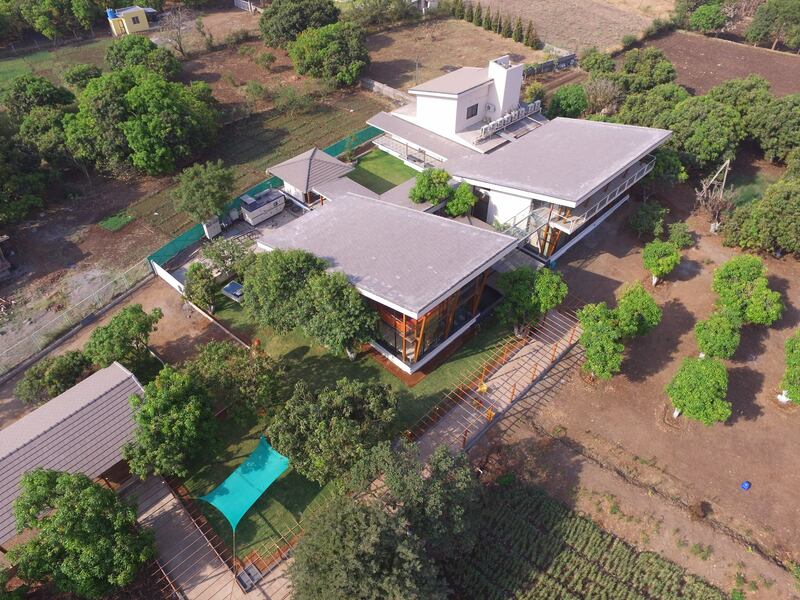 is surrounded by a couple of acres of mango orchards and farmland. 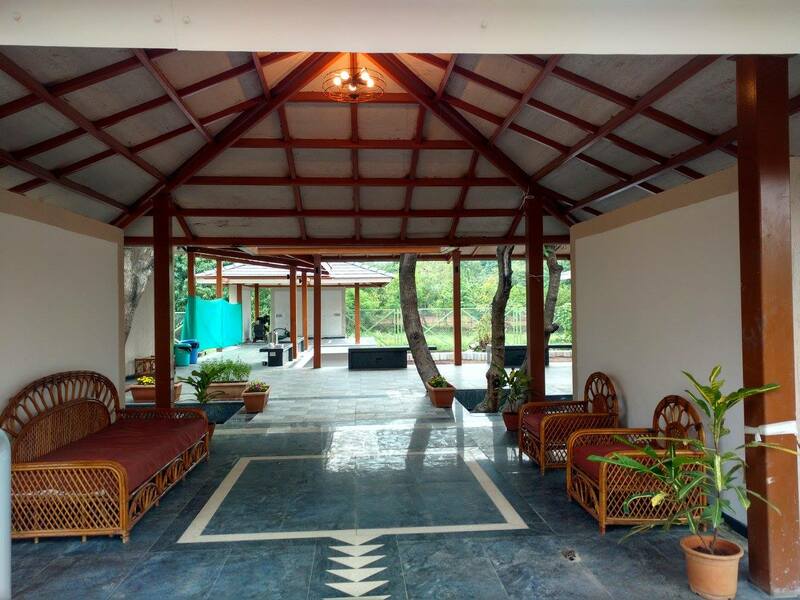 An open air café facing the Sinhagad fort and an open C-shaped veranda also facing the fort. WANT YOUR PEOPLE TO THINK OUT OF THE BOX? Well, then take them ‘out of the box’ first! Come to The Mango Lounge! The Mango Lounge provides an ideal venue for a variety of corporate gatherings. 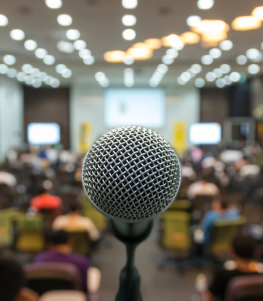 The annual conference doesn’t have to be in a staid, formal environment for it to be effective. 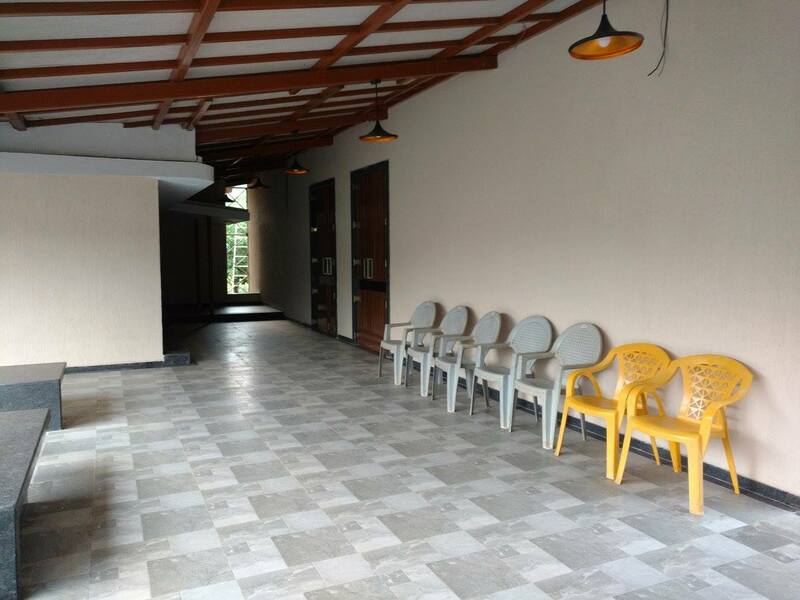 With a capacity of 100 pax., The Mango Lounge is an ideal venue. 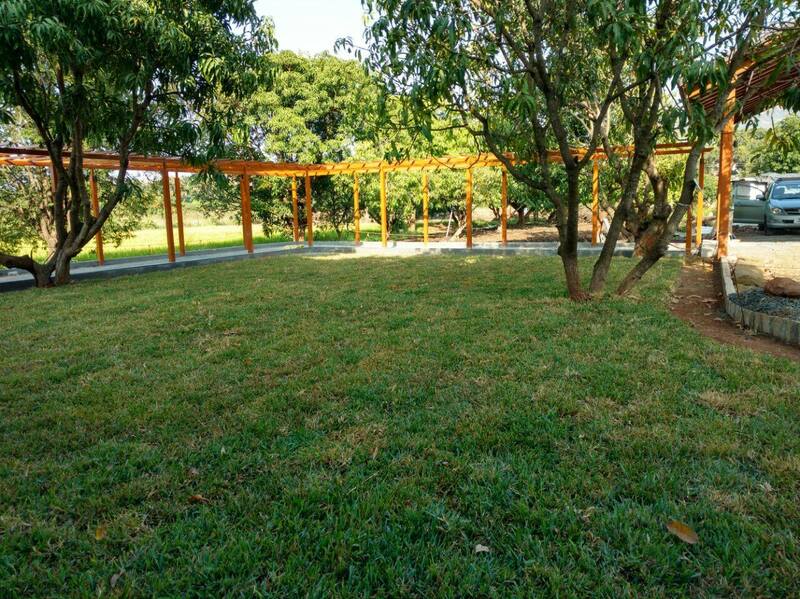 The Mango Lounge’s great location allows you to ‘get out of the city’ without really having to get out of the city making it perfect for team building activities. Formal and informal dining areas coupled with a world-class conference room makes The Mango Lounge perfect for celebratory or planning sessions around lunch/dinner. 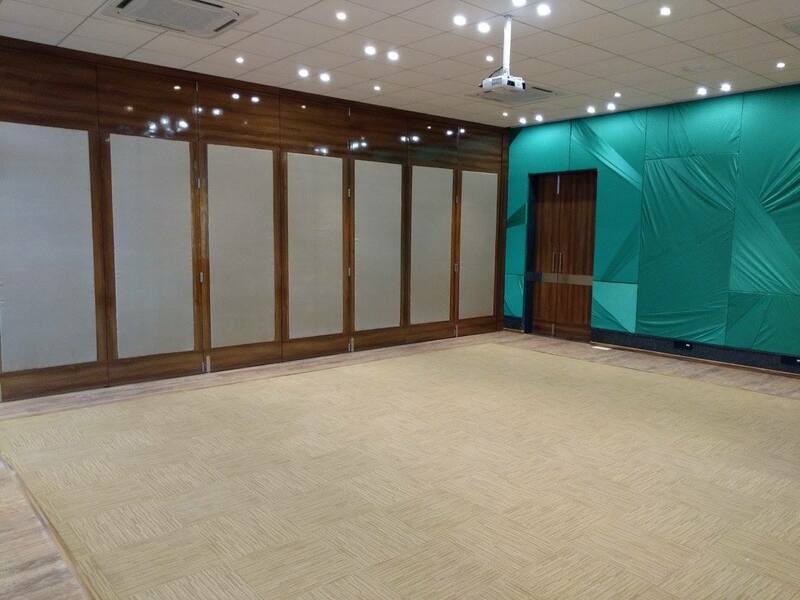 Conveniently located less than an hour away from the Pune Airport and Railway Station, The Mango Lounge works well for dealer meets for both city-based and outstation dealers. Whether it is a doctors’ conference or a start-up meet or a marketing conference or a hackathon, do it at the Mango Lounge. 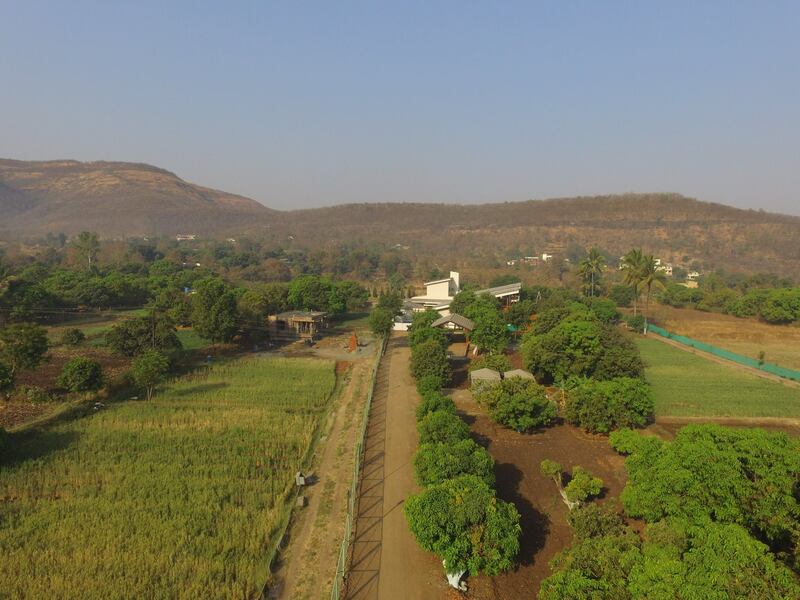 the absolutely priceless experience of breathing the fresh air of a beautiful mango orchard, just 20 kms from Pune. 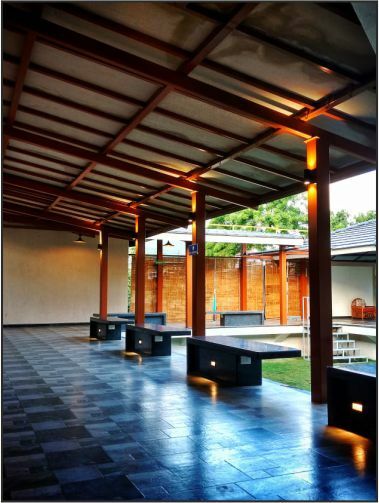 thereby ensuring that The Mango Lounge has the right mix of nature and business needs. At The Mango Lounge our motto is 100% customer delight! On behalf of Audi Pune, we take this opportunity to thank you & your entire team in making our event a grand success. 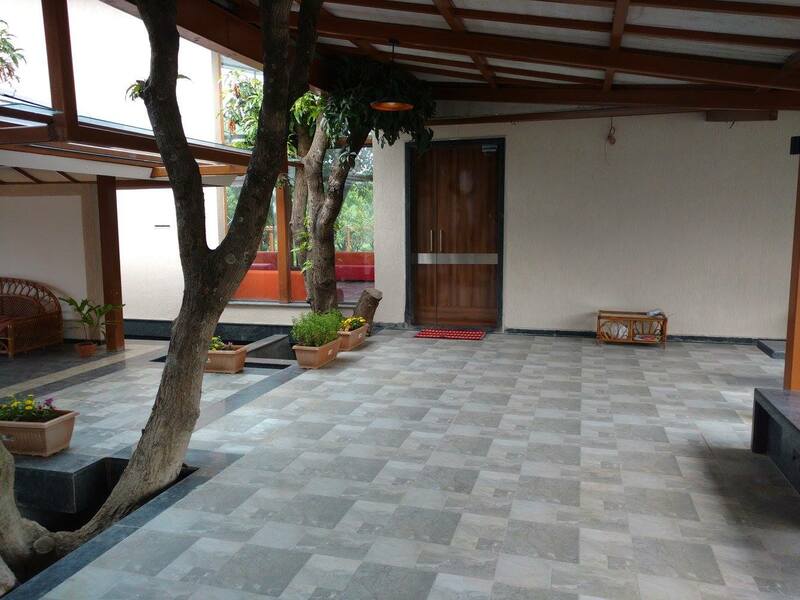 Your kind hospitality made our customers comfortable & enjoyed their day thoroughly. It was certainly a different experience altogether. 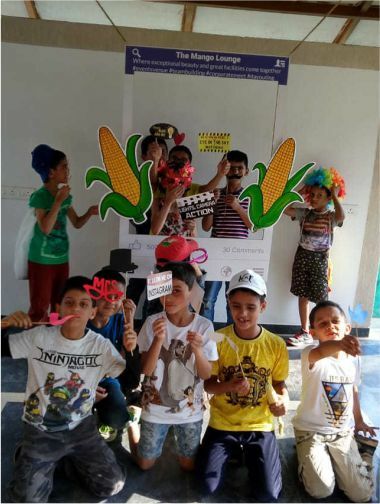 Traditional food, corn maze, corn eating competition etc were special effects of this event which people enjoyed a lot. We certainly look forward for many more such events at your property. Thank you so much for our warm reception and your gracious hospitality on our recent 2 days’ Conference at The Mango Lounge. You really went out of your way to make our 2 day’s Conference memorable. The Conference hall was great and equipped with the latest infrastructure, and the location is just awesome. But more than the business arrangements, you were so considerate by helping us make the best use of our limited time with all your enthusiasm. Many thanks to the entire staff of The Mango Lounge for everything. Breakfast, Lunch and Snacks which were served were very nice and fresh. 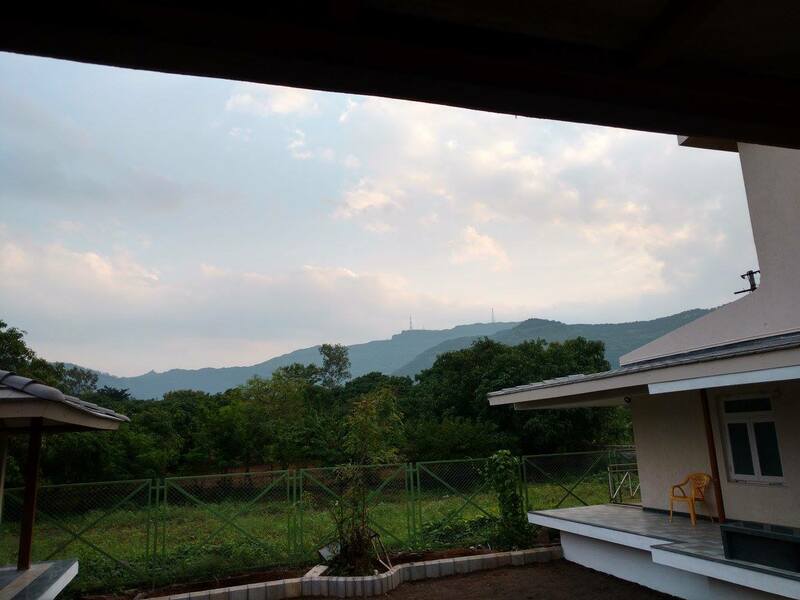 As the venue is on the foothills of Sinhagad Fort the scenic view is excellent. 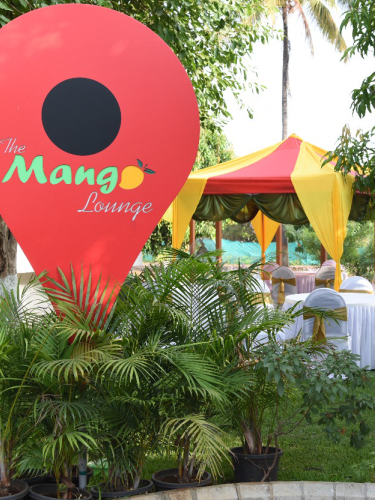 The Mango Lounge—Yes, the name was enough to carry out the importance and prestige of the Mangoes but more to that it was filled with many types of Flora and fauna. Serenity and peace was the most indigenous factor and thus helped us rejuvenating back to old times. With paddy fields around and coconut trees artistically nurtured, it brought us back to our origins and gave us a feeling as if we are Konkan or in nature’s hut. Every particle of soil was productively cultivated and blooming in mesmerizing green luster which wanted us to hug as if we belonged to them from centuries. With such high standards this Business Conference venue exceeds the expectations that one has. Thank you so much, highly recommended had a great experience. We will return. Sanchita Jadhav (HR BUSINESS PARTNER (SHIRWAL PLANT) ) TE Connectivity India Pvt. Ltd.
We would like to thank The Mango Lounge team for making our day long conference a memorable one. 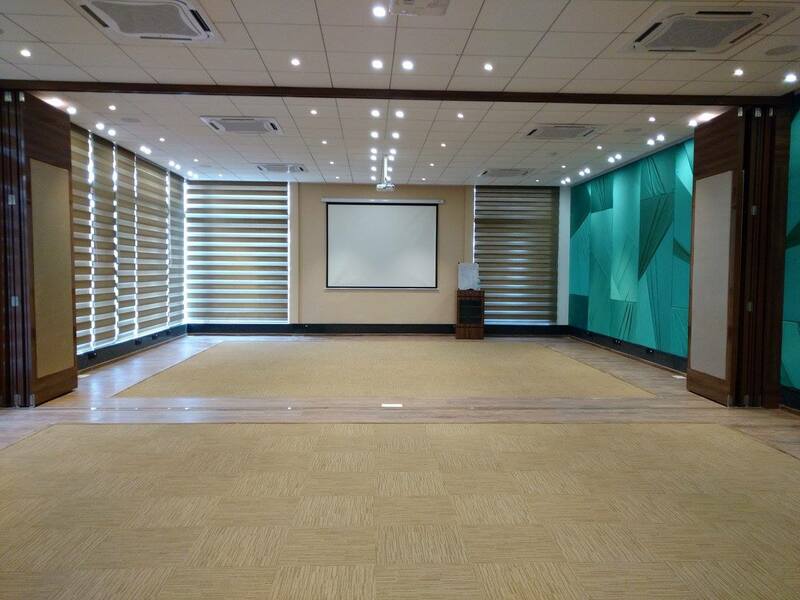 The conference facility is world class well equipped with latest technology. The mango orchard's view with glass walls of the conference hall gave us a close to nature feel which a rarity these days with the concrete jungle around us. The food served for breakfast, lunch & dinner was delicious. The Mango Lounge team took great efforts in arranging a guided Farm Tour and trek to Sinhagad fort. This made it a very unique experience for our European team members. 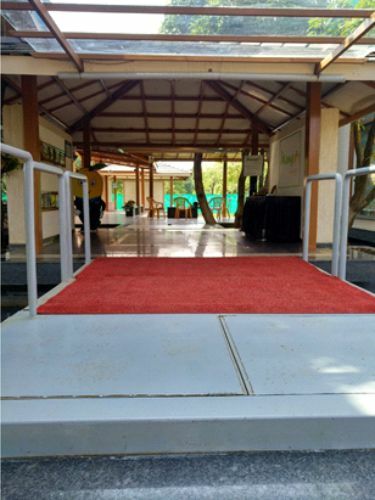 The event was superbly organised & the venue exceeded our expectations with its perfect blend of nature and business needs. We will definitely have our future conferences at The Mango Lounge. Nilesh Sahastrabudhe (Country Manager) Tieto India Pvt. Ltd. 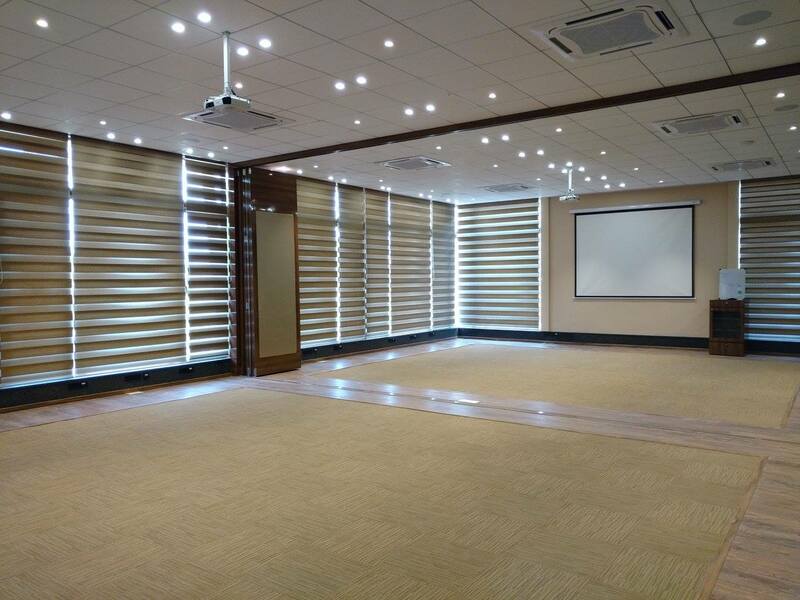 It was good to see the Conference hall is well equipped with the latest infrastructure; the glass walls around the hall give you the feeling of being so close to nature and the view around is also really nice. Though we had a limited spread, the quality of the Breakfast, Lunch and Snacks was also top class. The Team Building activities were organised and managed well. This Business Conference venue definitely exceeds expectation. We had a great experience - Thank you so much. I’m sure more of our teams would like to use this venue. Genny DCruze (EA to Managing Director) Sandvik Asia Pvt. Ltd.
Beautiful is the adjective for “ The mango Lounge” at a great location. A True Example of Excellent Hospitality. 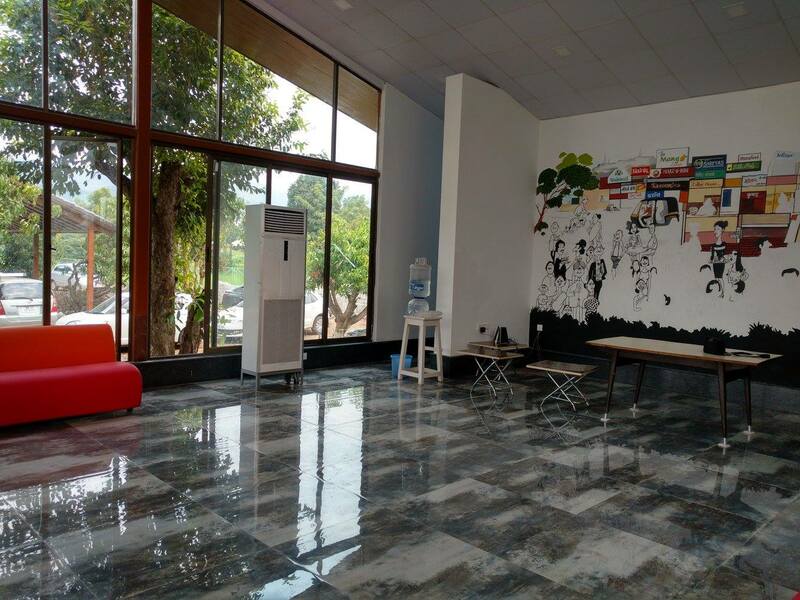 Enthusiastic staff members , lovely ambience, ample space to conduct any company event like OBT, SML Meetings, Trainings. The conference room was Fully equipped with latest gadget. I will definitely share my lovely experience with my other HR forums. Keep the good work always with a smile. All the very best for your future endeavors. We would like to thank the wonderful and courteous team of Mango Lounge for making our conferences and training experiences so memorable. 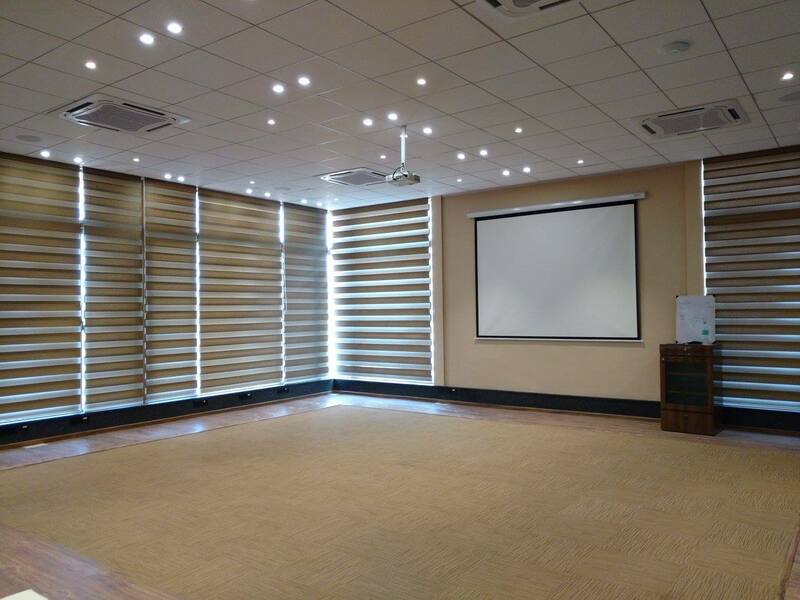 The conference hall is wonderfully equipped with all the facilities and infrastructure. 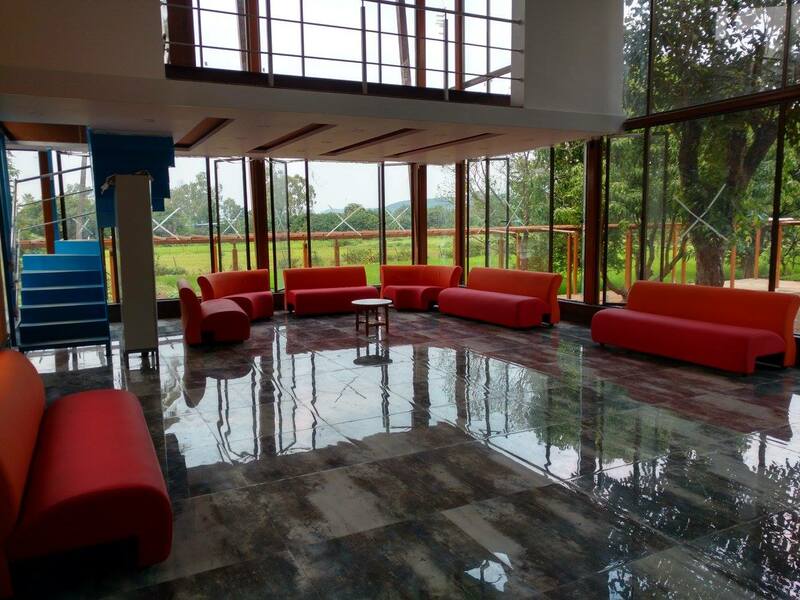 The glass walls of the conference rooms and the dining area gives you a beautiful view of the mango orchard which is truly a treat to eyes. In our hectic lives of today, amidst all the chaos, The Mango lounge makes you fall in love with the little things gifted by nature...be it a walk through the mango orchards, relaxing on the tree swings or jhulas, getting lost in the corn maze or climbing the machan and getting a beautiful view of the Sinhagad fort....it is truly a peaceful experience for your body, mind and soul. The food served by them is delicious. A special word of appreciation for upkeeping and maintaining the hygiene levels at a high standard. The hospitality extended by the staff is really commendable. We look forward for more of this serene and tranquil experience. Thanks for wonderful experience at Mango Lounge. Wonderful place, wonderful location, facilities. Our team came there with no expectations as this was our first team building activity but what we got is really amazing. Priti was very professional and good in conducting team building exercise. We got more than expected and team is happy about what they learn. Chandrahas Kanhere (Executive- HR/Administration India (COE)) Velocity Technology Solutions, Inc.
Danfoss Power Solutions India Pvt. Ltd.
One side where the ambiance was splendid in the lap of nature, surrounded by foggy mountains, weather worked as icing on the cake. We all were just driven by it. Venue on other side is absolutely up to the mark, and can import success to corporates with any agenda they have in mind! Food was very delicious and home-like. Simply excellent! Your partnership with brilliant facilitators in this case, Priti Arwade, draw overall success to the event. Such a focused person with defined object in mind, meticulously managed everyone without letting them know and matched their expectations, for many; beyond. The event was a success and we as HR act as facilitator to organize, but you are the people who make it work. So the real credit of success goes out to you! My best regards and look forward to more such beautiful experiences. Saumya Gupta (Assistant Manager-Human Resources) Danfoss Power Solutions India Pvt. Ltd.
We would like to thank the team for taking good care of us when we had our function at The Mango Lounge. You really went out of your way to make our Conference memorable. It was good to see the Conference hall is well equipped with the latest infrastructure; the glass walls around the hall give you the feeling of being so close to nature and the view around is also really nice. Though we had a limited spread, the quality of the Breakfast, Lunch and Snacks was also top class. The Team Building activities were organised and managed well. This Business Conference venue definitely exceeds expectation. We had a great experience - Thank you so much. I’m sure more of our teams would like to use this venue. The overall event was superb and a memorable one. One side where the ambiance was splendid in the lap of nature, surrounded by foggy mountains, weather worked as icing on the cake. We all were just driven by it. Venue on other side is absolutely up to the mark, and can import success to corporates with any agenda they have in mind! Food was very delicious and home-like. Simply excellent! Your partnership with brilliant facilitators in this case, Priti Arwade, draw overall success to the event. Such a focused person with defined object in mind, meticulously managed everyone without letting them know and matched their expectations, for many; beyond. The event was a success and we as HR act as facilitator to organize, but you are the people who make it work. So the real credit of success goes out to you! My best regards and look forward to more such beautiful experiences. The Mango Lounge offers customized and flexible packages designed based on your unique requirements. Both Veg and Non-veg food can be served. 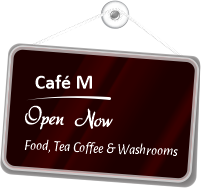 Please contact on 7066429290 to pre-decide menu. Being a predominantly agrarian economy, farming is not an alien activity to our nation. Starting from traditional labour centred farming practices, technology has helped the agriculture sector evolve. Human labour is now replaced extensively by modern machinery and equipment, while organic fertilizers and hybrid seeds (high yielding varieties) have enhanced the quality and quantity of output. These changes have largely been the effect of years of research into farming that brought the harsh negative effects of chemical fertilizers to the front. With rampant use of these, the soil loses its richness, making it less and less viable. Another concept that has been gaining popularity, primarily in the West, is that of Factory Farms. While traditional farms were seen as family owned and run systems that produced crops; factory farms are almost bordering on these ideas, but with a small twist. These farms, as the name suggest, are output intensive in nature. Working on the mono-crop concept, these farms aim to extract maximum utility from the farming activity and farm animals with a typical industrial thought-process. Here, farming as a way of life is replaced by a profit maximization motive, where any factory such a humanity and compassion are seen as roadblocks to profits. These factory farms are also a strong pressure on the environment, that shoulders the burdens of disturbed ecosystems. 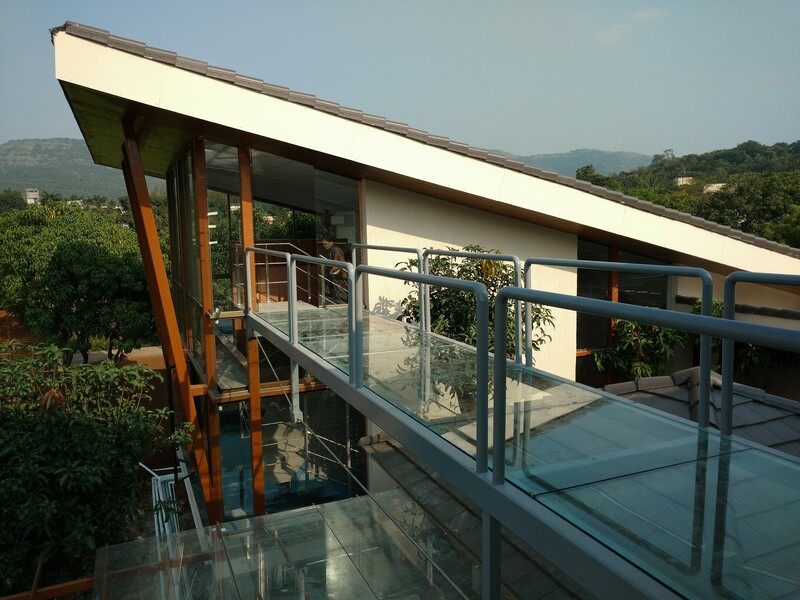 The Mango Lounge Café: A go-to health-food destination for ardent trekkers! When it comes to the idea of exercise in the lap of nature, Punekars turn to the one and only Singahad! Over the last few years, the mighty fort has grown to become a very popular fitness destination for one and all. May it be a weekday or a weekend, city-dwellers, and even people from nearby Mumbai and Lonavala hitch a ride to Singahad for a refreshing trek. Moderately difficult yet extremely satisfying, this trek has even become a daily activity for many! But, when it comes to exercise, there are certain Do’s and Don’ts that we need to keep in mind- one being the diet. After a strenuous trek involving high levels of physical and mental exertion, it is of paramount importance that you load yourself with the necessary proteins, to replenish your lost stores of energy. 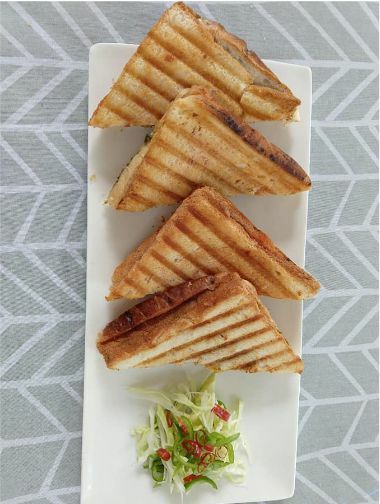 However, such options of healthy and nutrient rich food are not quite readily available on and around Sinhagad! Thus, these fitness enthusiasts have to either make do with the food options available on the fort, carry their own supplies, or simply hold on to their hunger till they reach home! Additionally, there is also a scarcity of places that provide a decent-to-good space that is clean and hygienic. Foreigners especially find it difficult to locate a place that has clean wash rooms, seating and dining areas, and neatly-prepared, healthy food. The Bork Night: A Well-deserved picnic for your four-legged friend! We make countless memories with our friends and families over get-togethers, family outings, or road trips. We laugh our hearts out at dinners-and-drinks nights. But, all this while, losing out on the company of one of the most significant members of our family– our pets. While we are having a gala time out at restaurants or resorts, our four-legged friends are either trying to find comfort in those empty homes, or struggling to make new friends at creches. Ever imagined what it would be like, if these tail-wagging weirdos could accompany us, and bring more joy to our vacations or weekend getaways? Well, Beauty in the Beast, in collaboration with The Mango Lounge tried to incorporate this very idea into a unique, fun-filled experience for pet owners and their beloved cuddle-buddies. On the 8th & 9th of December 2018, Beauty in the Beast organized a Bork Night at The Mango Lounge- an overnight camping experience for doggos and their owners. 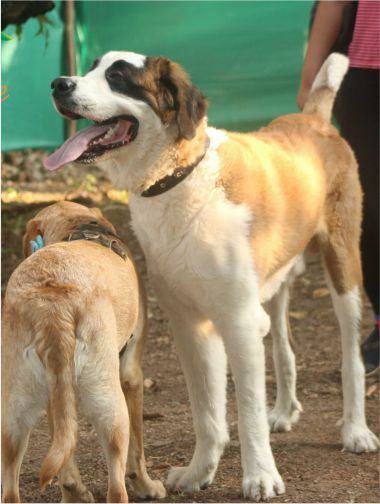 Conceptualised and executed by an experienced team of dog trainers, with hands-on support by the efficient Care Team at The Mango Lounge, this event was like a well-oiled machine! Bring the Western Corn Maze experience to our homeland! The idea of corn mazes isn’t alien to us. Massive spreads of corn farms designed meticulously into intriguing maze structures have become a tourist attraction in the West, especially in North America. Certain stories also have mentions of corn mazes dating back 4000 years in Greek mythology. Some of the finest, and most grand mazes have even been seen in England. The rich and wealthy once created them for their kings and princes as a source of amusement. The task was rather simple – reach the centre of the maze, and then find your way back! Corn mazes have also been a source of expressing rich cultural heritage for many. They have been used to depict French cathedral inlays, beautiful ancient gardens, taking inspiration from the art of labyrinths. Today, Corn Mazes have gained popularity in a slightly revamped form, making them globally popular tourist destinations. Mazes are created with great attention to structural details and crop type, and designed into complex patterns. Tourists can come here for a unique experience of walking around these massive, life-size mazes, and more importantly, finding their way out (good luck with that!). However, designing these is no less than a herculean task. 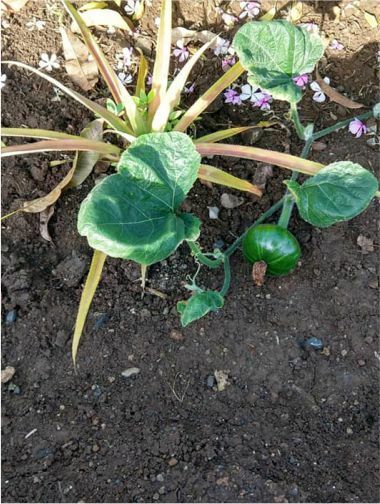 Farmers have to decide on the right type of crop, the kind of maze design that is to be created, the appropriate season for plantation, other aids such as fertilizers and pesticides, the right soil type, and much more. But when done methodically with these careful considerations, these crop mazes are a treat for tourists! The corporate culture these days is quite dynamic. It’s not always about board-room meetings, presentations in swanky offices, and seminars in posh, air-conditioned halls. People are now looking for venues that are more interactive, engaging, and even informal. Such set-ups naturally meet the objectives of the event; but also foster team spirit, co-operation, and stronger interpersonal relations among members of the organization. Understanding these additional benefits, organizations are now on the lookout for opportunities of more experiential training, an inclusive seminar, or a more informal meeting! Adding to that is the culture of guest lectures or talk shows by eminent personalities making value additions to employees’ knowledge base and expertise. The Mango Lounge has well-studied these changing approaches, and created an environment that perfectly suits the bill. 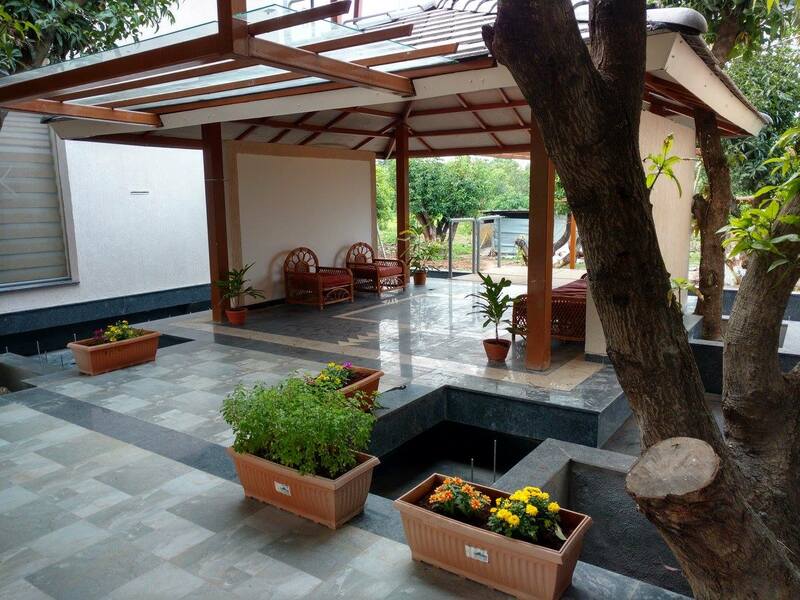 Our indoor and outdoor locations are designed keeping in mind the requirements of the corporate crowd to the very last detail. Spread over a wide area, our facility has a variety of location options to cater to groups of all sizes, and support any kind of event requirements. 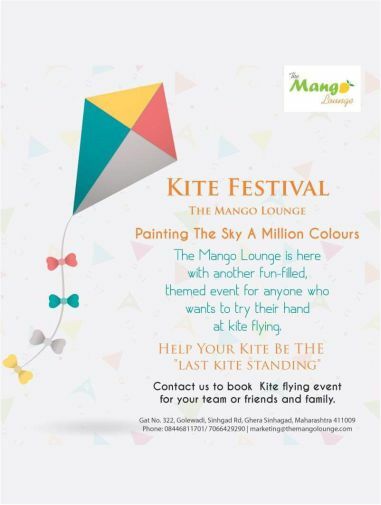 The Mango Lounge - The Ultimate Location for every event"
Looking for an off-beat location for your family function? Raiding Google for the ideal destination for a surprise birthday party? Dreaming of that picture-perfect site for a destination wedding? Well, The Mango Lounge can be your easiest answer! 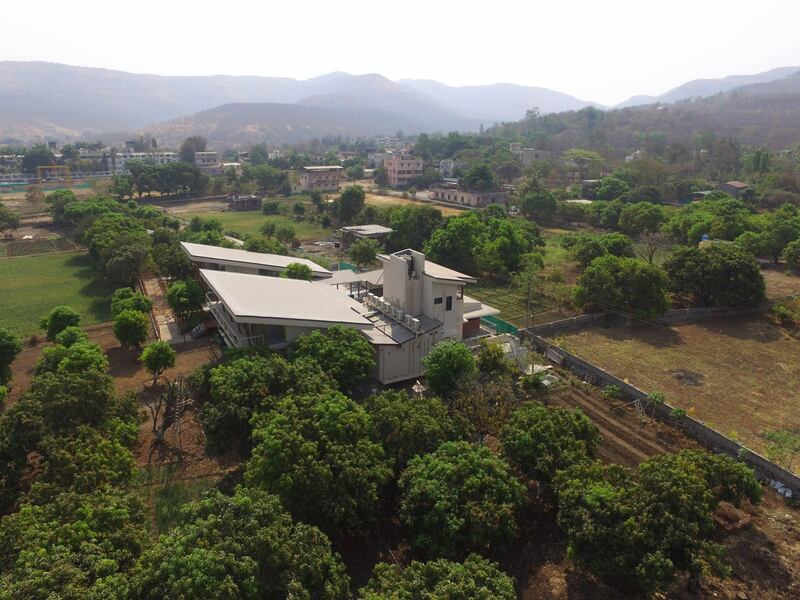 We are located in the midst of nature, just a stone’s throw away from Sinhagad, surrounded by greenery on every side! Our facility has been developed with attention to customers’ needs, and our team strives to provide the most impeccable service! Amongst the many facilities that The Mango Lounge offers, one of our favourites to work on is Social Events! From Destination weddings, to Munj Ceremony, Naming Ceremony, Birthday Parties, Family (or NRI) get-togethers, Kitty Parties, book clubs, school picnics, to, summer camps, we are open to all your events! Being an HR manager, a small part of my job is to find the perfect locations for our company’s annual functions, team building events, training programs, corporate seminars, etc. And every single time, hunting for such a destination is a task! 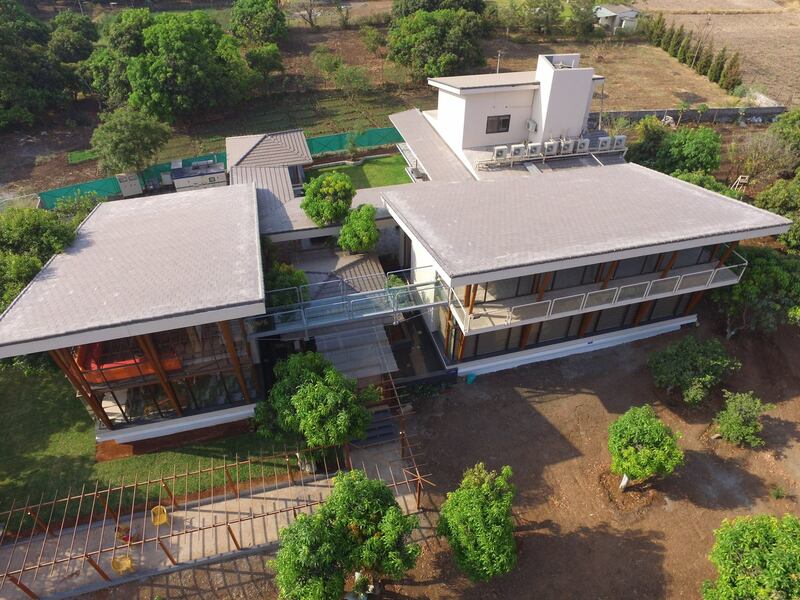 So, while doing my research for our company’s upcoming Annual Day Event this year, I stumbled upon this little boutique property (“boutique property” you can use this ) called “The Mango Lounge”. 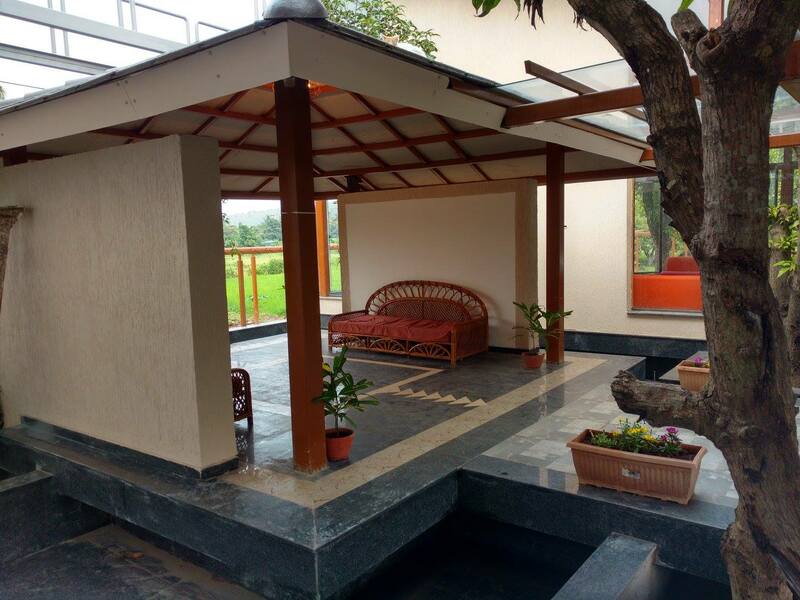 Nestled at the foothills of Sinhagad, the place is surrounded by lush green trees on all four sides. It was a no-brainer for me! Such a location would be ideal for our employees, who spend their days in Air-conditioned offices staring at computer screens, and have little chance to live and breathe in nature! I called up The Mango Lounge to get some basic information, and was really impressed by their overall demeanour. They gave me a comprehensive overview of their setup, the services they offer, facilities, their payment structures, etc. This was enough to convince me that a trip to this location would not disappoint. So, I gathered up a few of my team members and decided to go on a short, but serene road-trip. Bird watching is a fascinating activity. Thanks to our bird watcher friend, Mr. Sameer Mudaye, we discovered the variety of birds at The Mango Lounge. He observed a total of 26 species in just about 2 hours time at The Mango Lounge. 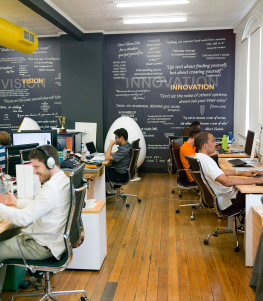 What employers can do to reduce employee stress? Every employee has, at some point, felt the pressure of work-related stress. Any job can have stressful elements, even if you love what you do. Stress is not something one can conscientiously avoid. It kind of grows on you and has you in a grip before you know it. We are most vulnerable when there is an upcoming conference, seminar, meeting or brain storming session. 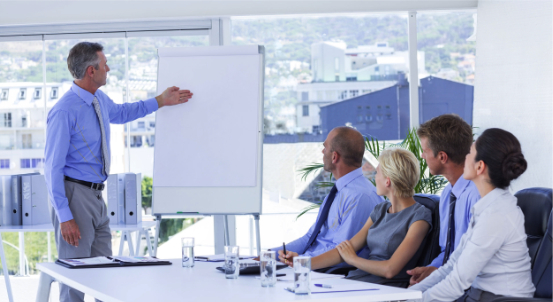 One new buzzword that we’re seeing the corporate world is the ‘Unconference,’ and we absolutely love the sound of it!